As the inventor of an electric typewriter and an electronic organ, Thaddeus Cahill enjoyed a prolific career in electrical engineering. Born in a small town in Iowa, Cahill was raised in Oberlin, Ohio by Ellen and Timothy Cahill. The intellectual genius of Thaddeus and his sister Mary was recognized early on by their father, who took it upon himself to educate them. In fact, Thaddeus never set foot in a school in his life until he entered the graduating class of his high school in 1883-84, when he graduated at the head of his class despite being the youngest member of the group. Later in life he often felt constrained by the academic regimen at Oberlin Academy, which he often left for inventive pursuits. Despite this impediment to his academic career, Cahill graduated from Columbian University (now George Washington University), obtaining a masters degree in law in 1893. Although admitted to the bar, Thaddeus never really made use of his legal training. Instead, Cahill devoted himself full-time to invention and business. Remembered by his brother George as an extremely sharp-witted man with an excellent memory, Thaddeus’ talent for innovation is undeniable. His experiences as a stenographer at an Ohio court at the age of thirteen led him to develop an electric typewriter four years later. 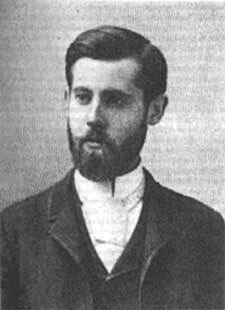 Cahill also had an interest in music and in 1900 he demonstrated the first prototype of the Telharmonium in Washington, D.C. Developed by Cahill between 1892 and 1914, this electric organ produced the first electrically synthesized music. The Telharmonium’s size did not make it commercially viable, however; it weighed several tons, a result of the limited amplifier technology at the time. Cahill’s reliance on the telephone system as an amplifier for his invention got him into trouble with the authorities in New York as well—a performance by the Telharmonium is reputed to have interrupted an important telephone conversation between financier J.P. Morgan and one of his associates. For this and other reasons, various companies formed by Cahill throughout the 1900s and 1910s to profit from the Telharmonium failed to endure. Cahill later operated another company called Cahill Brothers with his brothers George and Arthur. This enterprise manufactured high-powered floodlights for use in football stadiums during evening games, an invention pioneered by his brother George. This page was last edited on 29 February 2016, at 18:15.